The price of a roofing repair or install will vary depending on the size and location of your home. If you shop around for prices and notice that a company is well below the average, there may be a reason why. Cost alone will not determine quality. Professionalism and quality workmanship should also weigh heavily on your decision. What is the total price of a job? Does this include sales tax? When are the payments due? Does the price include removal of old roof? Any hidden costs? Check the insurance of every company doing work at your home. A company should carry both workers compensation and liability insurance. Because of the dangers inherent in working on the roof, workers compensation and liability insurance are a significant cost to a roofing company. Since the cost of the insurance is high, some companies do not carry it. This practice is a shortcut some companies take to underbid the competition. 2. Basing Your Buying Decision on the Quickest to Respond or Because a Company Can "Start Right Away". Things to consider: How long has this company been in business? You want to make sure that this company will still be around in case you have problems with your roof. Insurance? Don't hesitate to ask the roofing contractor for proof of insurance. In fact, insist on seeing copies of his liability coverage and worker's compensation certificates. Be sure the coverage runs through the duration of the job. Does the company offer references of past work? Obtain customer references and check them. Ask about the company's stability, reputation, record on completing jobs on time and quality of work performed. Check out all companies with your local better business bureau. Do they offer a maintenance program. Make sure you get a contract. Insist on a written proposal and examine it for complete descriptions of the work and specifications, including tasks the roofer will perform, types of materials, financial arrangements, and gurantees. 3. Getting a Discount for Signing the Contract "Tonight" or Other High-Pressure Sales Tactics. This forces the homeowner to make a quick decision, so as not to miss the “unbeatable price.” No matter how good the price may seem, do not buy a roof from a company that asks you to make a decision before you are ready. There is an outside chance that a contractor may have a "sudden" opening in their work schedule and offer an incentive to keep their crews working, however the more reputable companies do not have a significant amount of discount or wiggle room in their cost. If they offer more than a 10% discount, one might question their margins in the first place. Additionally, some companies will more heavily incent their salespeople to get a contract signed the same day. The quicker the sale, the higher the commission. The bottom line is, take your time when making any large purchase, such as a new roof. Do your homework, talk to references, and sign when you are comfortable that you've made the right choice. 4. Signing the deal because you like the sales person (or not signing it because you don't). Although you may feel a certain comfort level with a sales person, it should not be your sole reason for making a purchase. A truly good sales person will know their products and the overall installation process very well, which should give you a level of confidence. However, the sales person is not the one who will be doing the roof repair or installation. Find out who will, and their experience. Ask for references and ask to see examples of similar installations. Be weary of a sales person who cannot provide real references from current customers. 5. Having a Friend do the Work. Having a friend -- one that is not a licensed roofing contractor working for a reputable roofing company –is wrought with uncertainty. Even if this person is "handy", have they ever installed a roofing system? Do they know what areas of a roof are most vulnerable and why? Do they know how to properly ventilate the roof? No to mention, any work done by an unlicensed contractor will not include a warranty. The cost of roofing repairs may be high and you don’t want to commit to such a major investment without a warranty. 6. Doing the Work Yourself. Big box retailers will tell you that you can do it (and they can help! ), but beware! Roofing in particular is tricky business. There are obvious safety issues, as well as structural installation issues that should only be performed by a licensed professional. Professional roofing contractors are trained to safely and efficiently repair or replace a roof. Novices can harm a roof with improper roofing techniques and severely injure themselves by falling off or even through a roof in need of repair of replacement. 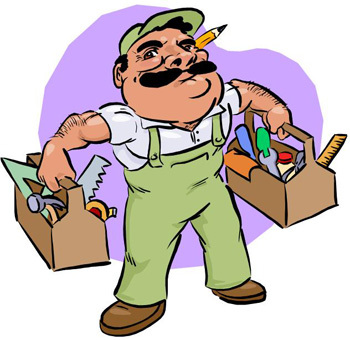 Homeowner maintenance should be confined to roof inspections in both the fall and spring to check for cracked or curling shingles, and to cleaning rain gutters filled with dead leaves and other debris. If you must see the roof for yourself, use a firmly braced or tied-off ladder equipped with rubber safety feet. Wear rubber-soled shoes and stay on the ladder (and off the roof) if possible. 7. Mistaking Advertising for Quality. Look in any value-pack mailer, coupon clipper magazine or even radio and television and you'll see and hear many companies in your area vying for your business. While it may be impressive that they have the means to advertise in high-priced media, do not mistake advertising for quality. There is nothing wrong with finding a company through the media, but do as you would with any major purchase – do your homework. Compare pricing, check references, and check workmanship. A reputable contractor will provide you with access to all of the information you need to make an informed decision.